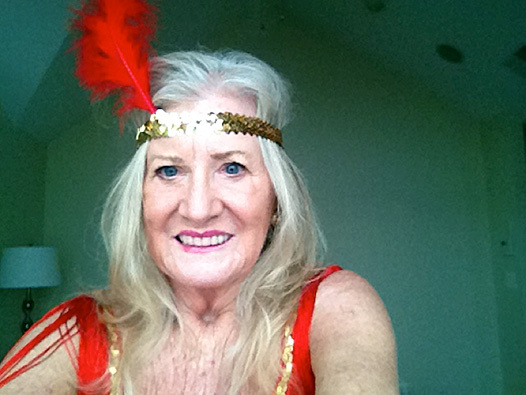 Here’s Ellen…a fun-loving individual (with a Halloween costume photo to prove it!) who is a diligent and reliable board member and has served for the past several years. Ellen Mitchell and her husband, Dixon, came to Grasonville by way of Virginia and Deale, Maryland. Deale was their weekend retreat until they “fell in love with Kent Narrows”. Deale’s loss is CBEC’s gain! They started out in Virginia, where Dixon joined the Office of the Comptroller of the Currency. Ellen worked for the SEC, the National Bank of Washington and Foxhall Investment Management before becoming a Registered Investment Manager on her own in Reston, VA.
Ellen’s knowledge in the world of finance, her forward thinking, and her sense of humor are all benefits to CBEC’s board. Ellen and Dixon have one daughter, Lara, a Physician Assistant at St. Vincent Shock Trauma 1 Center in Indianapolis, and three grandchildren. “Get Your Wild On” September 15th Volunteer at CBEC!